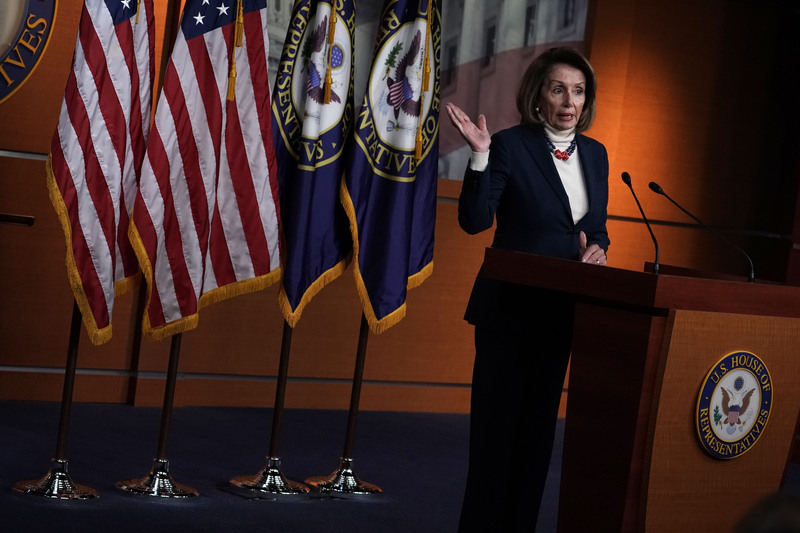 President Donald Trump brought up House Speaker Nancy Pelosi’s multimillion-dollar vineyard Friday to criticize her for planning to travel out of the country during the shutdown after he banned her from using military aircraft for the trip Thursday. Pelosi and her husband own a California vineyard and mansion worth at least $5 million that brings in thousands of dollars in grape sales each year, according to TIME Inc.’s Money magazine. California’s “recruitment of agricultural guest workers has grown sevenfold” since 2011, and it ranks fifth among states hiring for foreign workers, reported The Los Angeles Times. The speaker was planning to embark on a trip to Belgium, Egypt and Afghanistan Thursday when Trump essentially canceled it last minute via letter. Trump’s letter came a day after Pelosi sent him a letter Wednesday seeking to delay Trump’s State of the Union address until after the shutdown ends. Trump’s address is scheduled for Jan. 29. Trump also canceled his delegation’s trip to the World Economic Forum in Switzerland scheduled for next week on Thursday. The president was not attending the forum, but Treasury Secretary Steve Mnuchin and Secretary of State Mike Pompeo were slated to represent him. “Out of consideration for the 800,000 great American workers not receiving pay and to ensure his team can assist as needed, President Trump has canceled his delegation’s trip to the World Economic Forum in Davos, Switzerland,” White House press secretary Sarah Huckabee Sanders told reporters Thursday.